Investing.com – France stocks were higher after the close on Friday, as gains in the Oil & Gas, Healthcare and Consumer Services sectors led shares higher. 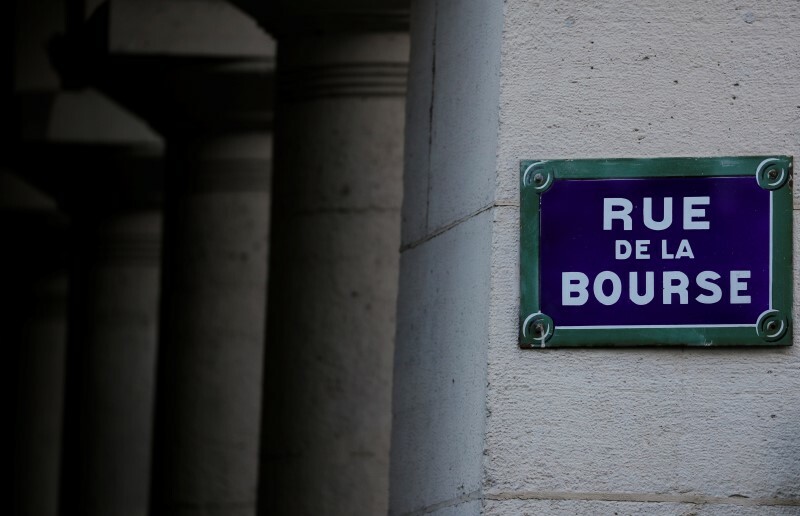 At the close in Paris, the CAC 40 gained 1.34%, while the SBF 120 index added 1.13%. The best performers of the session on the CAC 40 were TechnipFMC PLC (PA:FTI), which rose 5.66% or 1.50 points to trade at 28.02 at the close. Meanwhile, Total SA (PA:TOTF) added 3.25% or 1.65 points to end at 52.45 and Airbus Group SE (PA:AIR) was up 2.08% or 2.05 points to 100.64 in late trade. The worst performers of the session were STMicroelectronics NV (PA:STM), which fell 1.66% or 0.340 points to trade at 20.160 at the close. Veolia Environnement VE SA (PA:VIE) declined 1.26% or 0.235 points to end at 18.455 and Valeo SA (PA:VLOF) was down 0.20% or 0.10 points to 50.70. The top performers on the SBF 120 were TechnipFMC PLC (PA:FTI) which rose 5.66% to 28.02, GTT (PA:GTT) which was up 5.01% to settle at 53.40 and Elior Group (PA:ELIOR) which gained 4.66% to close at 14.83. The worst performers were Eramet (PA:ERMT) which was down 2.07% to 113.60 in late trade, Rubis SCA (PA:RUBF) which lost 1.90% to settle at 56.80 and STMicroelectronics NV (PA:STM) which was down 1.66% to 20.160 at the close. Rising stocks outnumbered declining ones on the Paris Stock Exchange by 343 to 202 and 124 ended unchanged. Shares in Veolia Environnement VE SA (PA:VIE) fell to 52-week lows; losing 1.26% or 0.235 to 18.455. Shares in Valeo SA (PA:VLOF) fell to 52-week lows; down 0.20% or 0.10 to 50.70. The CAC 40 VIX, which measures the implied volatility of CAC 40 options, was down 12.35% to 13.26. Gold Futures for August delivery was up 0.04% or 0.50 to $1271.00 a troy ounce. Elsewhere in commodities trading, Crude oil for delivery in August rose 4.56% or 2.99 to hit $68.53 a barrel, while the August Brent oil contract rose 2.49% or 1.82 to trade at $74.87 a barrel. EUR/USD was up 0.40% to 1.1649, while EUR/GBP rose 0.19% to 0.8780. The US Dollar Index Futures was down 0.28% at 94.28.